ST. PARIS – Graham Local Schools’ board candidates all seek to improve student outcomes at the district. Four candidates, including one incumbent, will be on Nov. 3 ballots for three open seats on the school board. Current board members Pat Wagner and Duane Miller are not running for re-election, and current appointed board member Mike Ludlow is running for one of the open seats. Other candidates include newcomers Ryan Pine, Miranda Uhl and Dr. G. Shockley Wier. 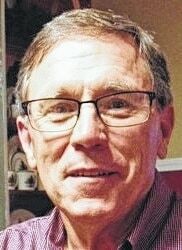 Ludlow, 64, of Rosewood, is a retired Graham High School teacher, former athletic director and coach. He graduated from Graham Local Schools in 1969 and from Ohio State University in 1973 with a degree in social studies education. He received his master’s degree from Wright State University in 1979 in educational media. 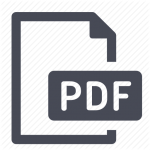 Ludlow is the commissioner of the Central Buckeye Conference and works for Finishtiming.com scoring and timing track and cross country meets. He is a member of the Rosewood United Methodist Church, where he is a trustee, and belongs to the Southwest Ohio Athletic Directors Association, the Ohio Interscholastic Athletic Administrators Association, the Southwest Ohio Track Officials Association and the Graham Athletic Booster Club. Pine, 39, of DeGraff, is an Urbana High School social studies teacher. He coaches wrestling and softball. He previously taught at Fairborn High School and began his teaching career with Shelby County Educational Service Center. He holds a bachelor’s degree in secondary education from Urbana University, and he graduated from Graham High School in 1994. 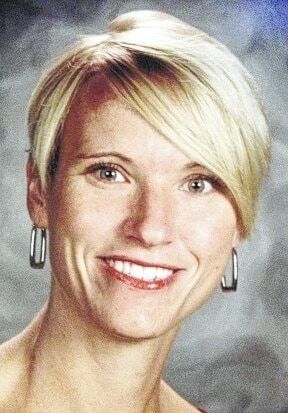 Uhl, 38, of Urbana, is a kindergarten teacher at Sidney City Schools. Before that, she taught at Piqua City Schools. She also taught eighth grade special education at Graham Middle School. She was in leadership roles at Sidney City Schools, including serving on the Building Leadership Team, being a mentor teacher for Resident Educator Summative Assessment entry year and beginning teachers and being on committees including Curriculum Mapping and Textbook Selection. She enjoys distance running and taking RV trips with the family in her spare time. Uhl is a Graham High School graduate with a bachelor’s degree in education from Wright State University and a master’s degree in education from Urbana University. Uhl said she has been married to her husband, David, for 13 years and has four children attending Graham Elementary. Wier, 48, of Urbana, is a dentist in St. Paris. He also is an International Orthodontic Instructor for Progressive Orthodontics. He is a graduate of Centerville High School, who majored in pre-dentistry at the University of Cincinnati and received his Doctor of Dental Surgery from Ohio State University. He has served on the church board at the Community Church of the Nazarene in St. Paris and is on the advisory board for Progressive Orthodontics in Aliso Viejo, California. He is a member of the Omicron Kappa Upsilon Dental Honor Society and a past member of the St. Paris Lions Club. He said he enjoys spending time with his two children, who attend Graham. He is engaged to be married to Jeanie Pleasant. “I think academic excellence, as well as well-rounded students, are extremely important,” he said. “I would like the opportunity to help provide all students with the opportunities to achieve all the goals that they have in life.” Wier added he has had several teachers and their children as patients in his dentistry practice, and he wants to advocate for students and teachers to achieve that academic excellence and opportunity. Uhl said she would focus on student success if elected, hire staff who “will stand up for what they know is best for kids and work hard for all students” and seek input from parents, community members, staff and teachers to improve the educational outcomes for students. 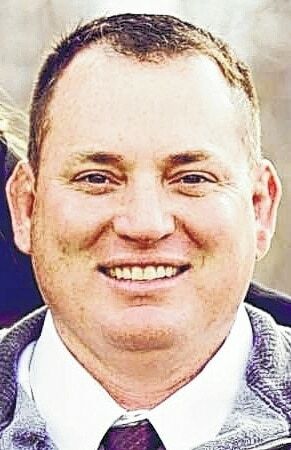 Wier said he wants to represent the students and teachers in the district “in an effort for the students to get the best possible education.” He said he believes extracurricular activities are important and wants to continue to provide those opportunities for students. He added that since the district seeks a new superintendent, he wants to find the right individual for the job.